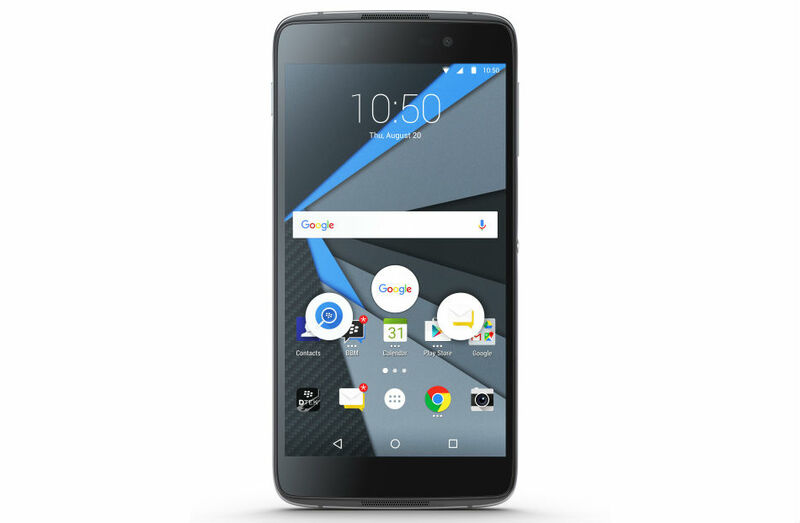 BlackBerry announced the DTEK50, an affordable smartphone focused on bringing security to all Android fans. While the specs inside of the DTEK50 won’t blow you away, even with BlackBerry highlighting the autofocus-having 13-megapixel rear-facing camera, it seems like a decent option for those who value security over other premium features. As for the specs, potential buyers will find a 5.2″ FHD display, Snapdragon 617 processor, 3GB of RAM, 16GB of internal storage (added microSD card support), 2,610mAh battery, GSM network compatibility, 13-megapixel rear-facing camera with Phase Detect autofocus, and Android 6.0+. Check out the complete spec table below for more details. As for added software features beyond security, BlackBerry has baked in its Intelligent Keyboard, the Convenience Key (quick access to favorited apps), Pop-Up Widgets, Device Search, Instant Actions (quickened procedures for making calls or sending texts), and custom gestures for owners to play with. The price listed for the DTEK50 is $299, available for pre-order starting today directly on BlackBerry’s website. Ready to pre-order the phone? Follow the link below.